The Commonwealth Bank Southern Stars departed Melbourne today for the highly anticipated Women’s Ashes series in the UK. It is the Southern Stars first International tour after a lengthy break from their series against the West Indies in November 2014. This extended break has given the squad a chance to hone their skills in the off-season and they are all now very eager to finally get back out on the pitch and regain the Ashes on English soil. 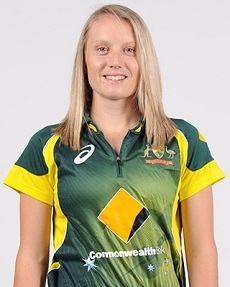 We are pleased to announce Southern Stars Wicket-keeper batsman Alyssa Healy has also recently joined the Sunstar team alongside teammates Ellyse Perry and Meg Lanning. Alyssa is a fantastic talent and will be looking to further stamp her name as one of the leading players in Women’s Cricket. “As a team and individuals I think we’ve done everything we can to prepare ourselves to play some good cricket – I think everyone is excited to get over there,” Alyssa said. Alyssa departed for the UK early to support Fiance and fast-bowling superstar Mitchell Starc, who has taken the World by storm the past 12 months with his performances for the Australian Men’s team. “We’ve had some wonderful rivalries between ourselves and England over the last few years, but we haven’t managed to win the Ashes back,” said Ellyse. Beginning July 21, the Women’s Ashes consists of three ODIs, three T20 matches and a single Test match, and is determined on a points basis. Southern Stars captain Meg Lanning said the team’s training intensity had been a positive sign looking towards the first ODI. “We’ve had a really good preparation; we’ve spent a lot of time up in Brisbane at the National Cricket Centre which has been great. We’ve trained the house down.” she said. The first match is an ODI at Somerset on July 21.